Fellow blogger Renato Aquino – from Portugal (Ourem) – is a successful Senior Operations Manager, Catering Manager and skilled hospitality professional. 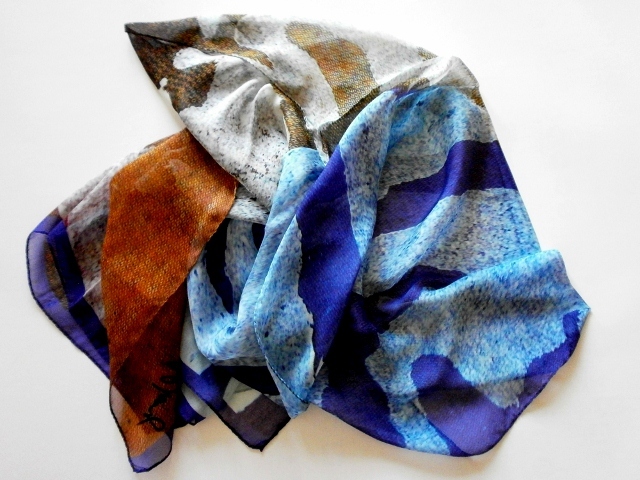 Through LinkedIn profiles he had the way to see my artistic silk scarves. He was really struck by the unusual design and he acquired the all series of three doing some special gifts. The parcel was delivered taking more of the time required. 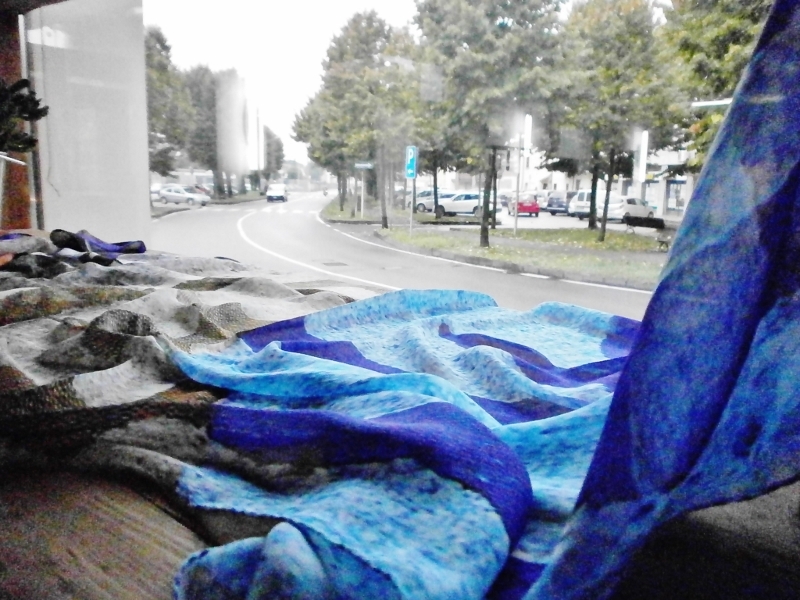 Some days ago, Renato sent me this message: “The scarves arrived… Anyway, it was worth the waiting. 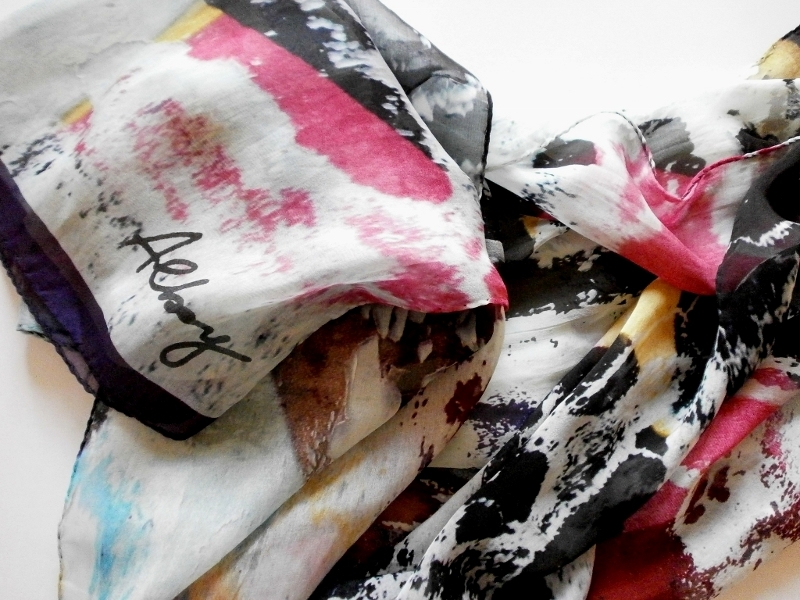 The scarves are simply beautiful and very elegant, my gifts were very special and well appreciated!!!”. I thank Renato Aquino for his kind appreciation and warm words! 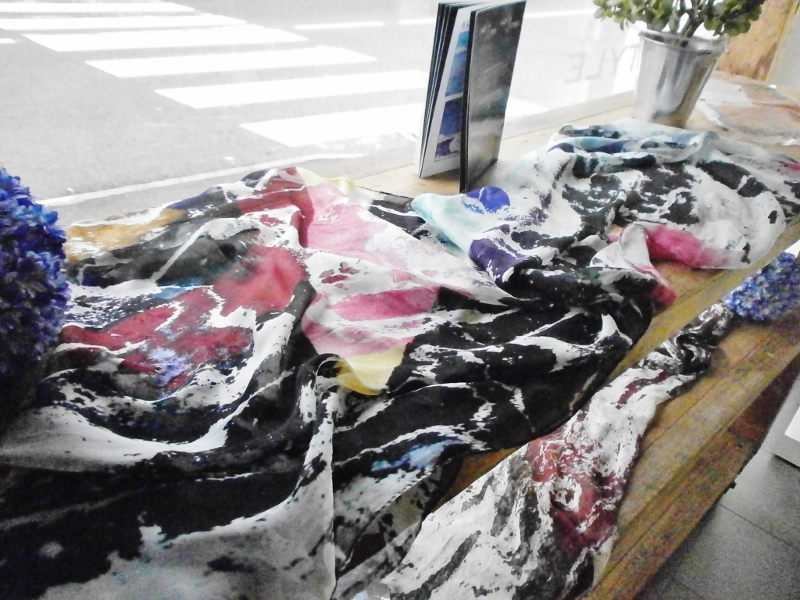 The three silk scarves (created for a special limited-edition series) reproduce details of images concerning torn and decomposed publicity posters, natural cracks and scratches, urban and industrial “signs” I captured around the world. 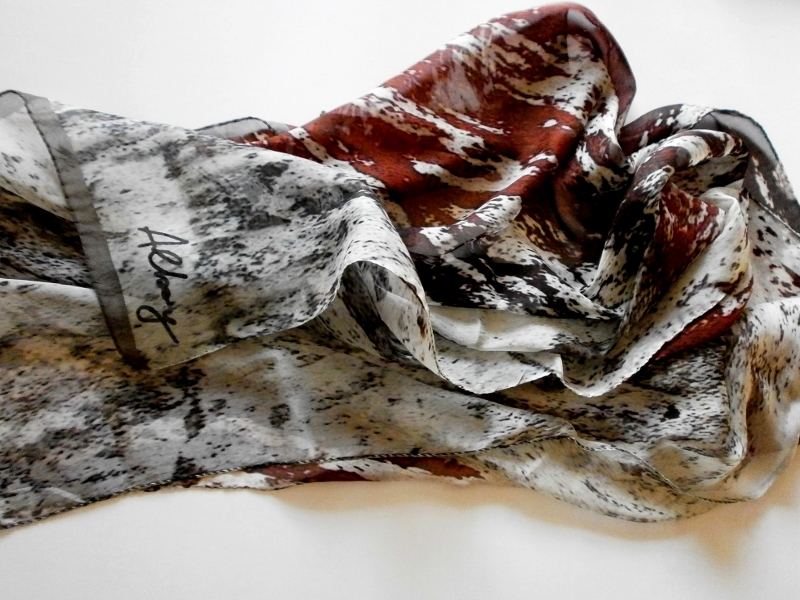 The three silk scarves were made with the precious collaboration of the internationally known textile designer Bruno Boggia, who works in Como (Italy) for the most famous international fashion stylists. So, I had the way to turn “trash pictures” into an art subject (my abstract works from the real world are also transferred on canvases, lithographic prints, aluminium and other materials). Their design is… unique. They reproduce details of torn posters images and “urban signs” I captured around the world. 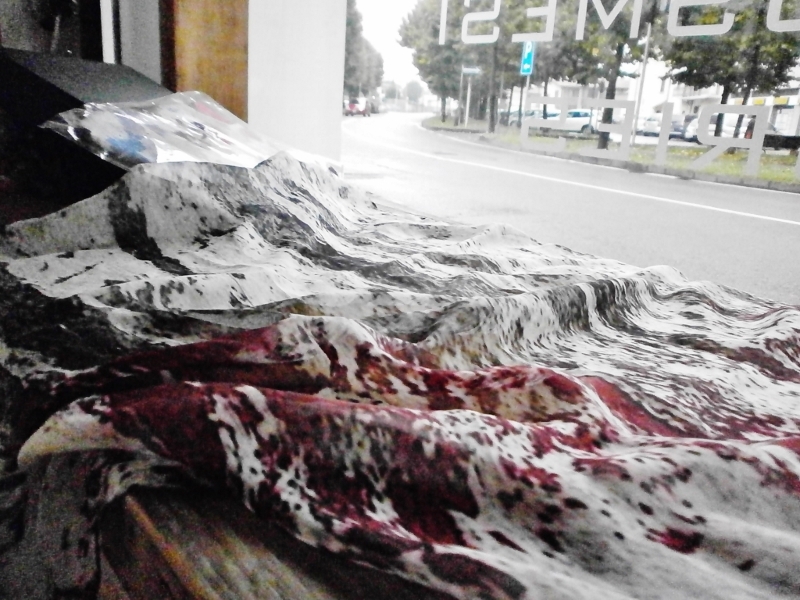 I accepted the challenge that italian textiles designer Bruno Boggia offered me. Bruno, with the invaluable assistance of his daughter Lucia and his staff, helped me selecting artworks to be converted into silk scarves designs. Bruno Boggia Studio works with the most famous designers and fashion brands in the world (Capucci, Lacroix, Valentino, Lancetti, Mila Schon, Chanel, Celine, Dior, Y.S.L., Etro, Escada, Donna Karan, Paul Smith, Rolando Santana…) So, the images of dirty and ripped papers – left to decompose on city walls or billboards – after being transformed in canvases, lithographs and videoclip, are now artistic and original silk scarves (100 % Crepe de Chine).